Whew! With no end to this heat wave in sight, I think I’ll stay in and curl up with a good book this summer. First up, I plan on reading Edith Pearlman’s Binocular Vision (Lookout Books). Not only did Pearlman win the PEN/Malamud award for this book, she received stunning reviews from Publishers Weekly, The New York Times, and the LA Times. 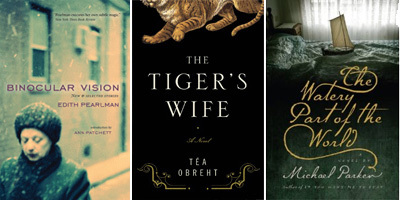 I’m a sucker for stories that take me around the world: in Pearlman’s case, from Jerusalem to Central America, from tsarist Russia to London during the Blitz, from central Europe to Manhattan, and from the Maine coast to Godolphin, Massachusetts, a fictional suburb of Boston. I can’t wait to travel with this one! And if you’re a fan of history and literature about North Carolina (of course you are, if you’re reading this blog), you’ll want to know my last pick: The Watery Part of the World, by Michael Parker. This book weaves together two historical anecdotes: the first a tale of Theodosia, daughter of Vice President Aaron Burr, who is left for dead off the Carolina coast after her ship is attacked by pirates, and the second a story of the last remaining residents of the same North Carolina island in 1970. Both sets of island people forge indelible allegiances to each other, linked as they are by blood and water. Here’s to staying cool and reading some good books this summer! 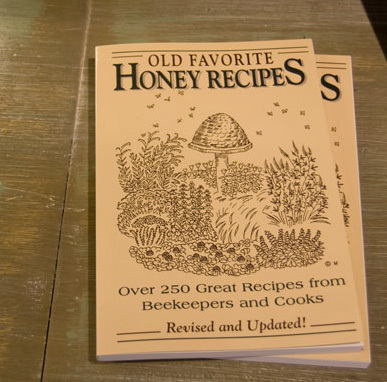 Spotted: Old Favorite Honey Recipes (Bright Mountain Books) at Savanna Bee Company in Charleston, S.C.! 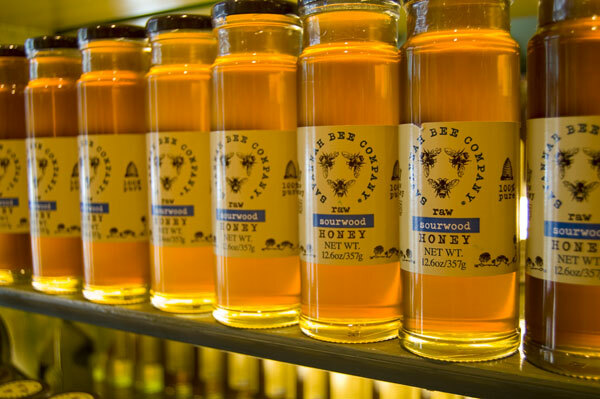 I recently spent a week down in Charleston and Kiawah, and although I tried not to think about work TOO much, I simply had to when I spotted one of our distributed titles at the Savanna Bee Company shop, next to rows and rows of honey jars. First published in 1941 by the American Honey Institute, Old Favorite Honey Recipes was expanded in 1945 and reprinted several times. In 1991 this book was published with The Iowa Honey Producers’ The Honey Recipe Book as one handy volume. With this 2010 edition, Historical Images is pleased to see this popular classic back in the hands of American cooks. Old Favorite Honey Recipes features more than 250 recipes gathered over the years by American honey producers, revised and updated for the modern kitchen. From the classic honey bun to more obscure dishes, this collection showcases honey’s versatility in breads, desserts, vegetables, and more. It also contains recipe variations, interesting facts, and helpful cooking hints, including how to substitute honey for sugar. Sift flour once, measure, add baking powder and salt, and sift together 3 times. Cream butter thoroughly, add sugar gradually, and cream together until light and fluffy. Add honey. Blend. Add egg yolks and beat thoroughly. Add flour, alternately with orange juice, a small amount at a time, beating after each addition until smooth. Fold in egg whites. Bake in 2 greased 9″ layer pans at 350 degrees for 30-35 minutes.